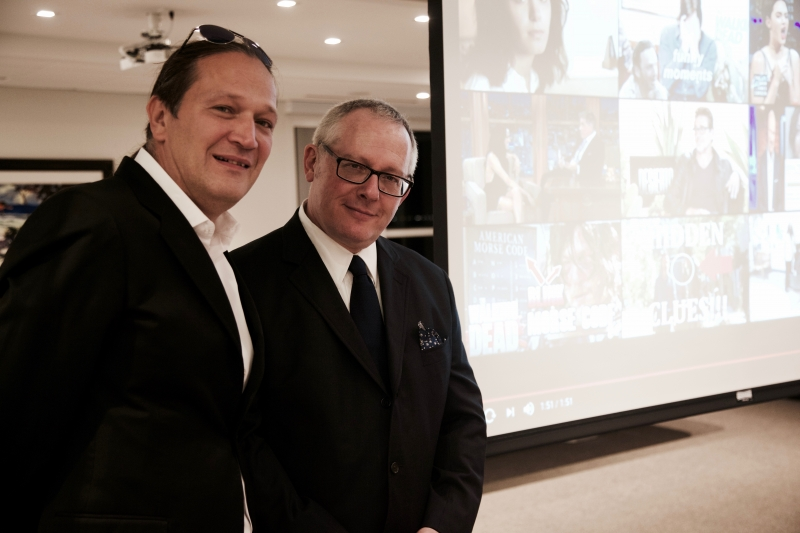 Michael Caputo, a former communications adviser to the Trump campaign in New York and the director of the New York primary in 2016, has a Russian partner with ties to Alfa Bank and oligarchs close to Putin and pro-Russian Ukrainian connections. 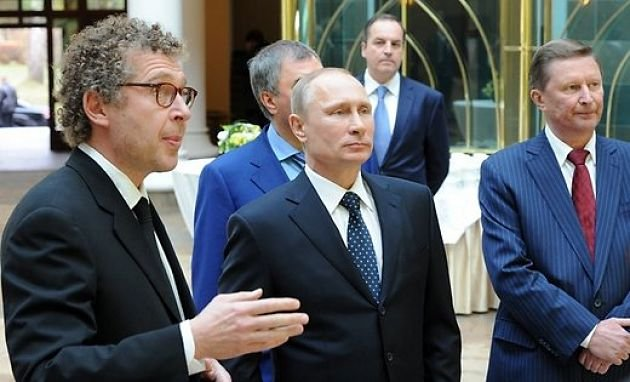 In Moscow, he worked for The Florence Group, a PR firm that helped Western companies to do business in Russia, where he provided government relations, media liaison, message development, and executive communications services. 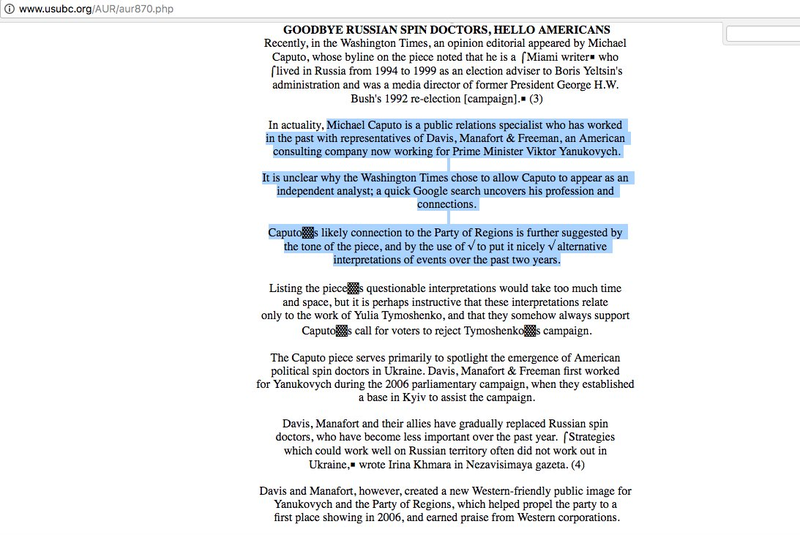 I also happened to work in Moscow in 1994–1998 and, like Caputo, provided Western companies with the government liaison. That meant: bribes to pension funds and tax inspectors, negotiations with the organized crime groups about “krysha,” a protection money, etc. After Caputo moved to the US in 1999, he co-founded Rainmaker, a PR firm based in Washington, D.C.. 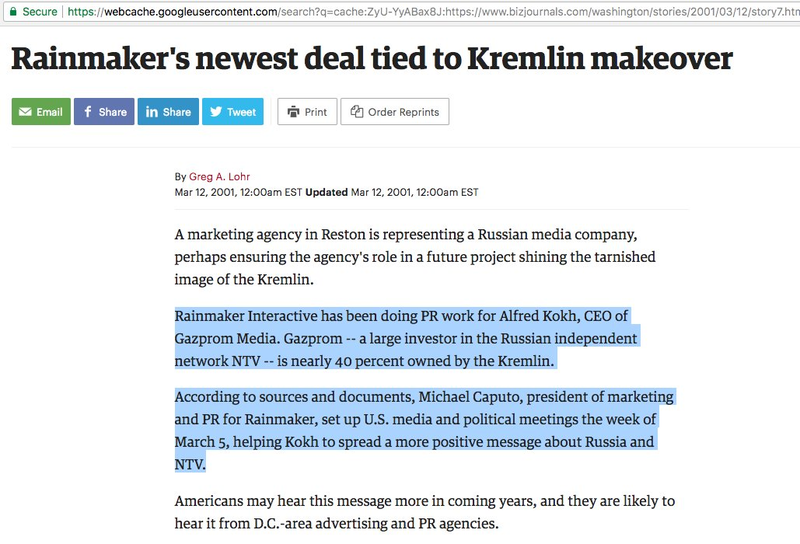 However, Rainmaker Interactive has been doing PR work for Alfred Kokh, CEO of Gazprom Media. 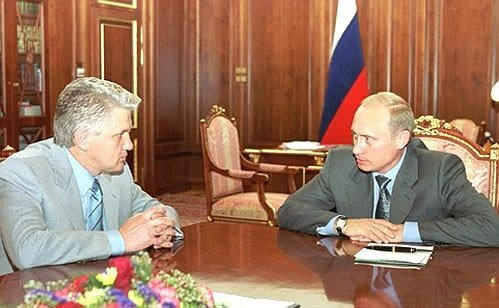 Gazprom, a large investor in the Russian television network NTV, is nearly 40 percent owned by the Kremlin. 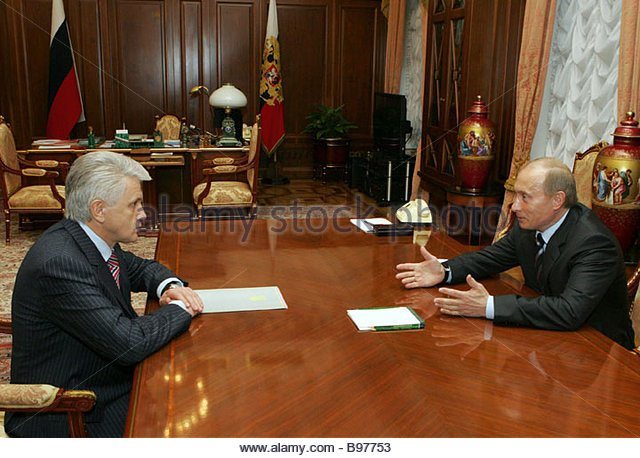 Putin seized NTV channel in 2000 when he first came to power. In 2003, Caputo founded Michael Caputo Public Relations (CPR). 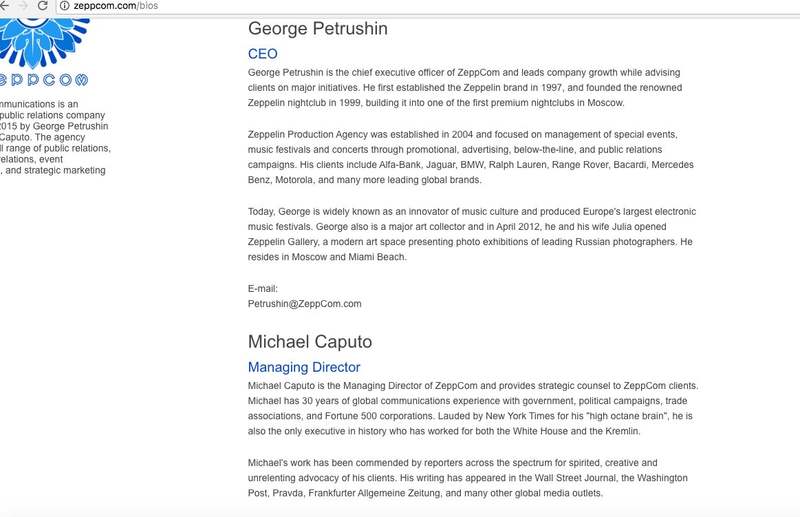 His partner of 30 years, Sergey (aka George aka Zhora) Petrushin, is based in Moscow and Miami and operates Zeppelin Production. 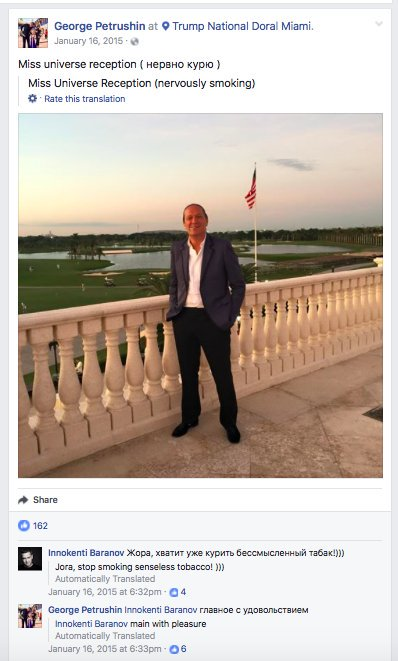 Left: Petrushin at Trump National Doral Miami. Source: Twitter Thread by Louis Neufy. Right: Caputo’s website. 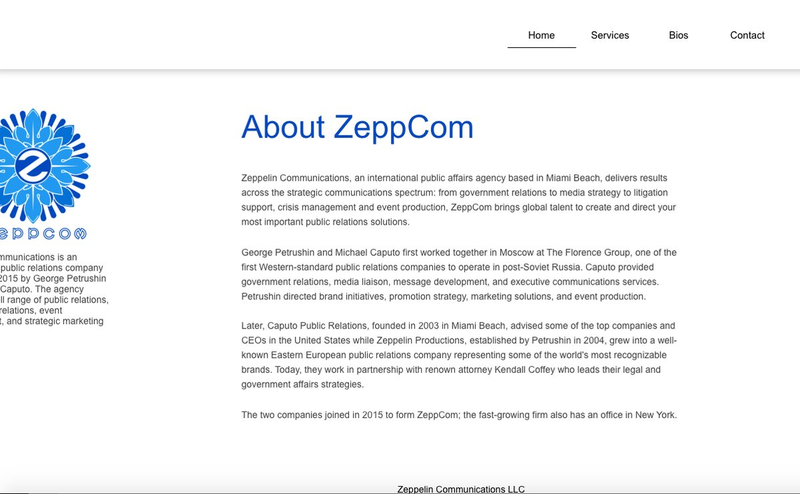 Caputo is also a Managing Director of ZeppCom, of which Petrushin is CEO. 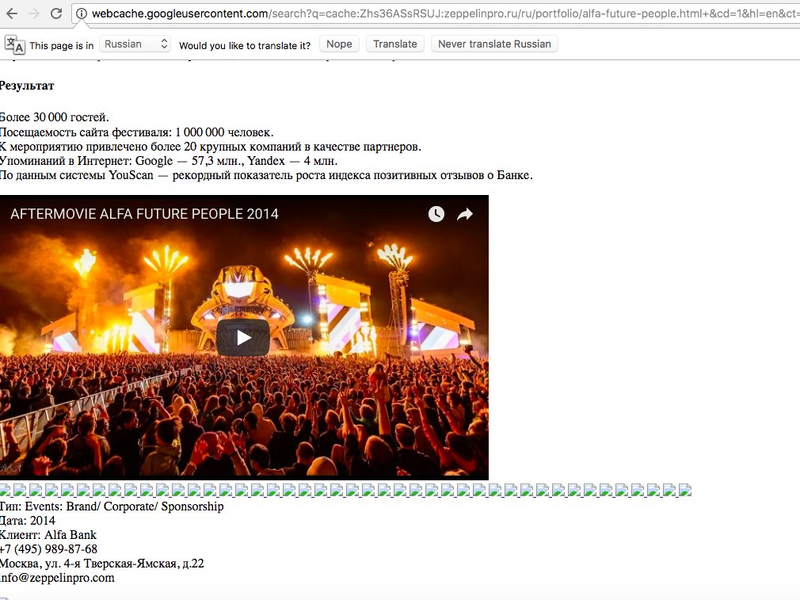 Zeppelin “has close ties” with Mikhail Fridman and Alfa Bank and worked on the biggest music festival in Russia, Alfa Future People. 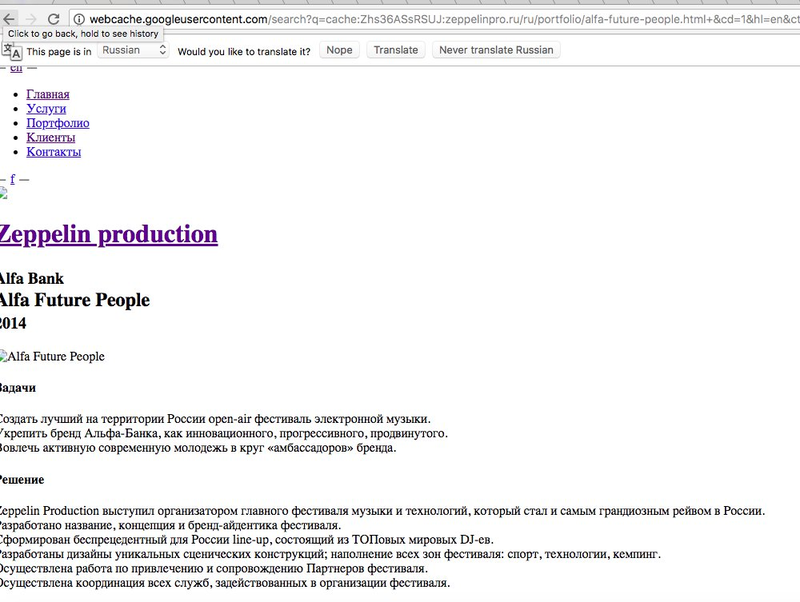 The website is gone but here are the archive screenshots with marketing goals. 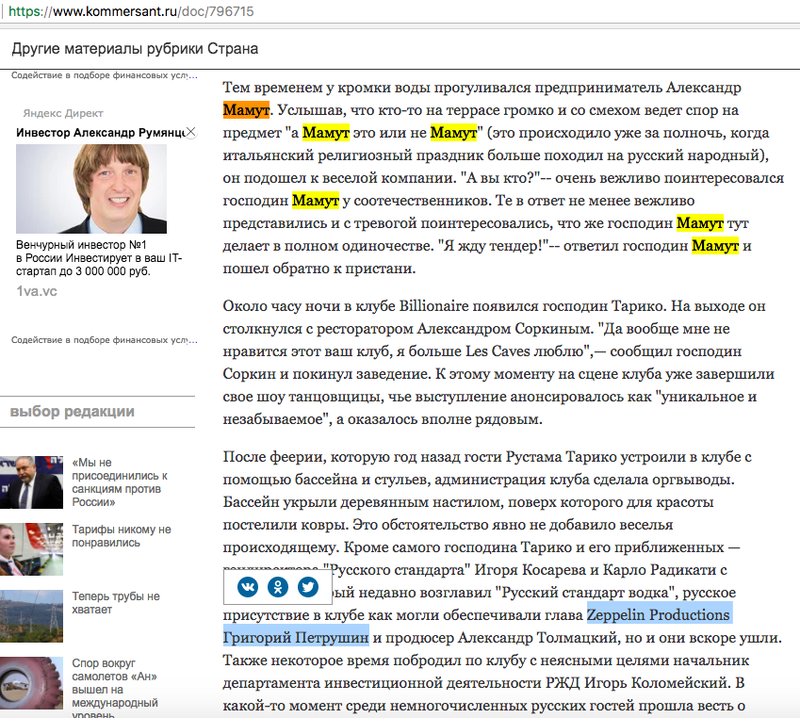 Petrushin managed a nightclub in Moscow, funded by Alexander Mamut, “a leading censor of the Russian mass media and cinema” according to a Russian publication New Times and “probably the most powerful oligarch you have never heard of,” according to Telegraph. 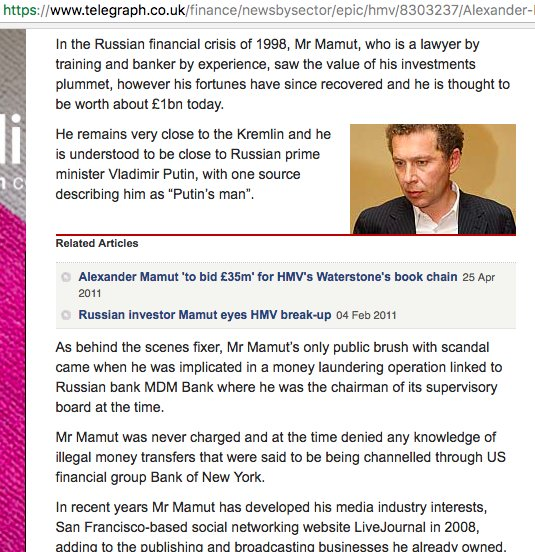 The club managed by Petrushin, The Most, was a gathering place for all Russian oligarchs, including Roman Abramovich (Mamut’s close friend), Mikhail Fridman of Alfa Bank, and many more. 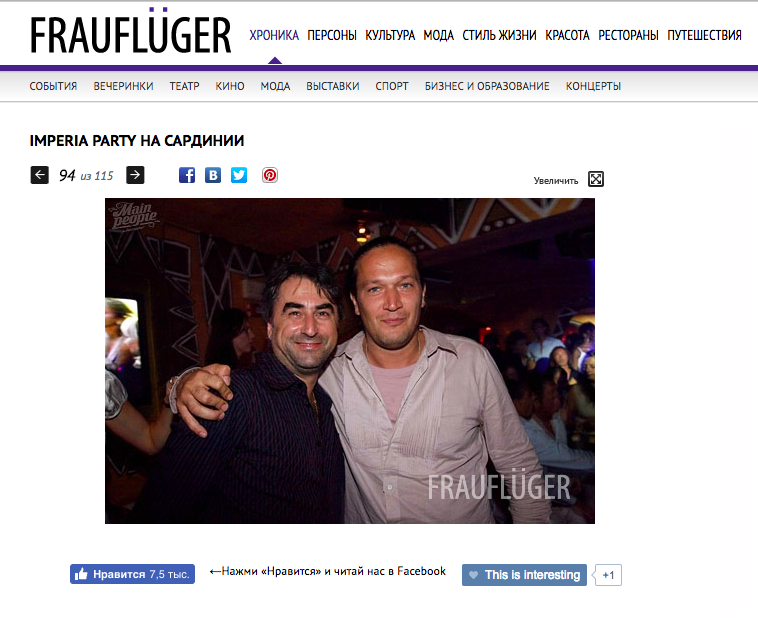 Petrushin is known to attend “IMPERIA” and “RUSSIAN STANDARD” parties by Rustam Tariko in Billionaire Club in Sardinia. Tariko, the chief of Russian Standard, the Russian vodka company and bank, sponsored Miss Russia. At least one of the parties was attended by Trump’s son and Alexander Mamut. Left: Source: Коммерсант. Right: Source: Fraufluger. 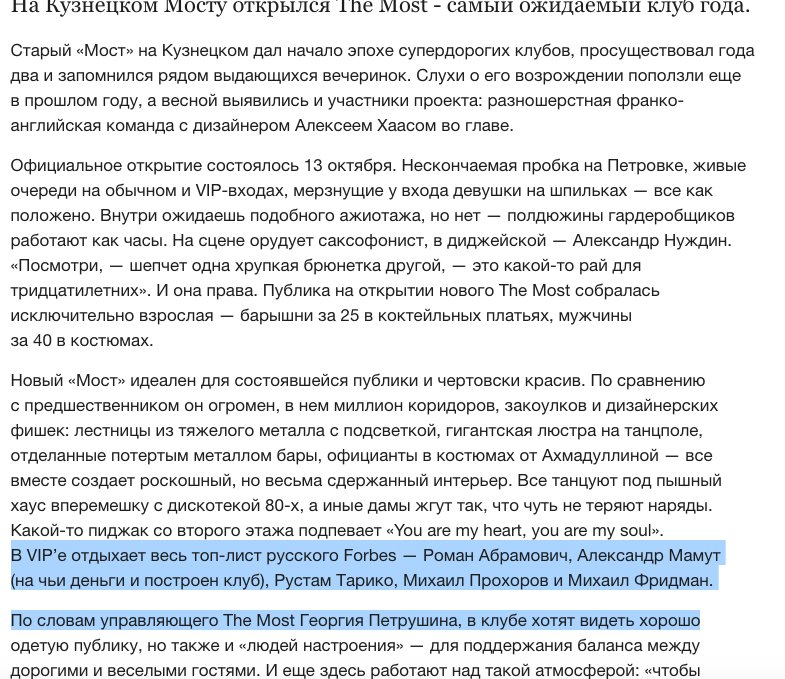 Rustam Tariko, the owner of Miss Russia, met with Trump in Moscow, in November 2013 during Miss Universe contest. 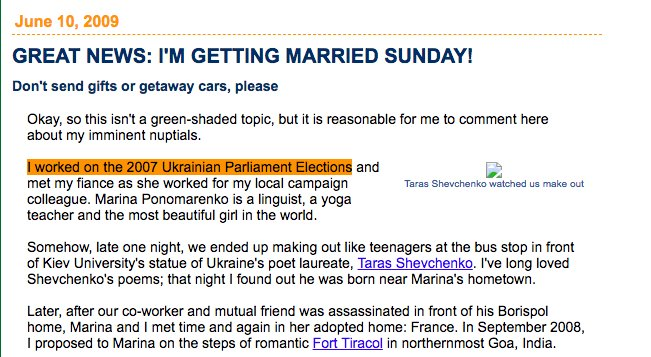 In 2007, Caputo consulted on a parliamentary campaign in Ukraine, working for Volodymyr Lytvyn, the former parliament speaker and former chief of staff to Putin-supported ex-President Leonid Kuchma. 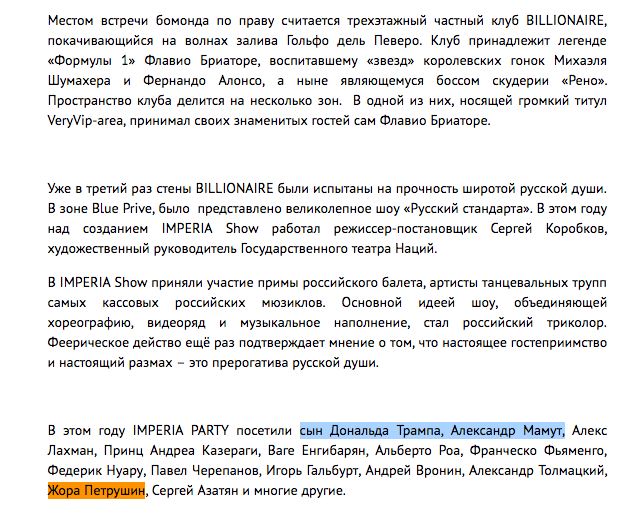 IMPORTANT NOTE: DO NOT CONFUSE PRO-RUSSIAN UKRAINIAN POLITICIANS AND OLIGARCHS WITH UKRAINIANS. Post-Soviet space is an ethnically and politically complex zone. 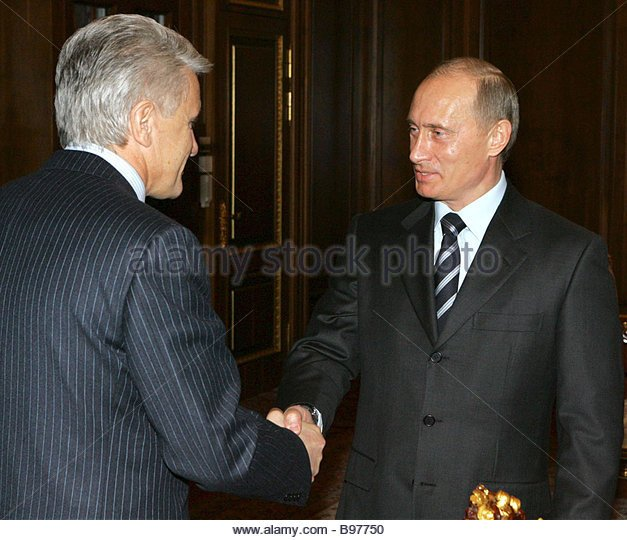 Caputo, for instance, worked for Volodymyr Lytvyn who later supported Putin’s puppet regime of Yanukovich. 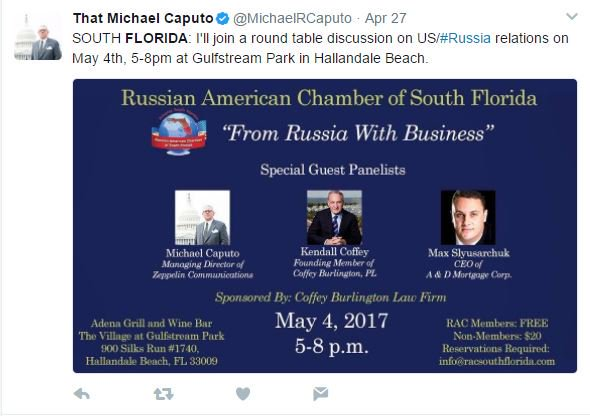 In 2017, Caputo also appeared on a panel “From Russia with Business” with the Russian American Chamber of South Florida reportedly connected to the Russian organized crime and Trump. Oil/gas monopoly, money laundering, oligarchs, puppet-regimes installment, suppression of mass media are a repeated pattern of the mafia state. Krugovaya poruka is one of the defining features of a mafia state. By appointing judges and DOJ leads involved with the Kremlin, compromised or used by it, Trump is applying the Kremlin’s pattern and protecting his position. Why does Caputo speak up for Kavanaugh — mutual responsibility.